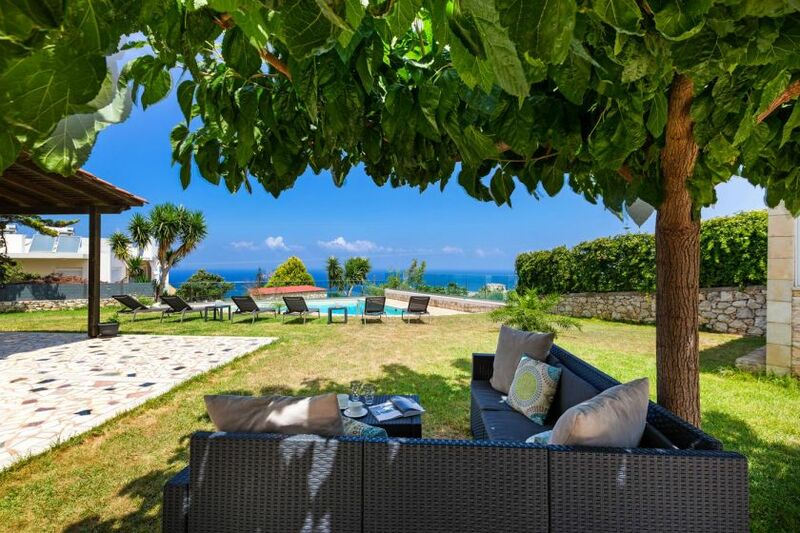 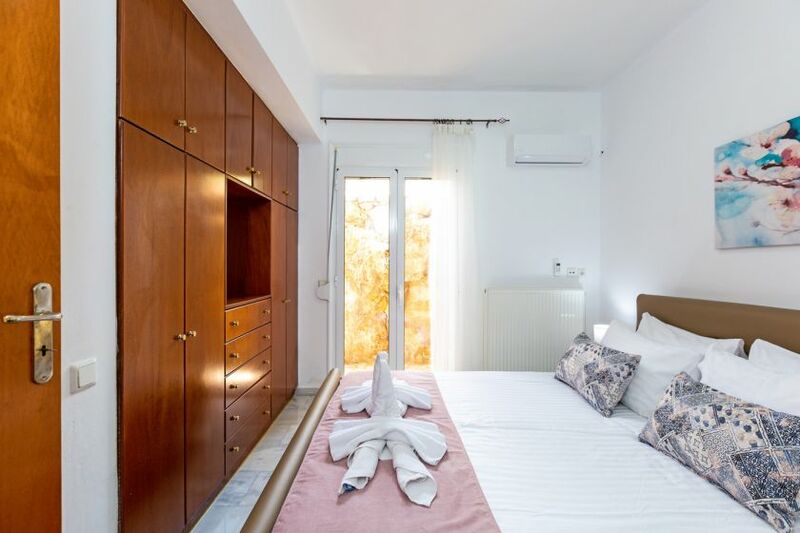 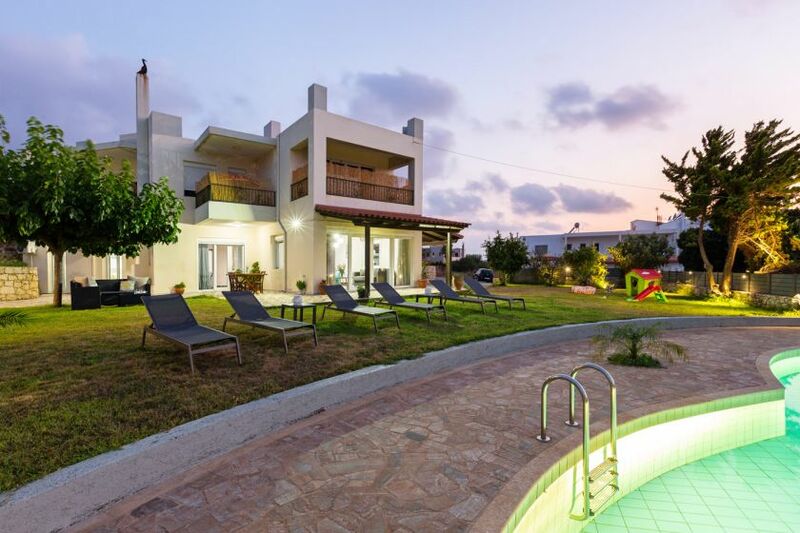 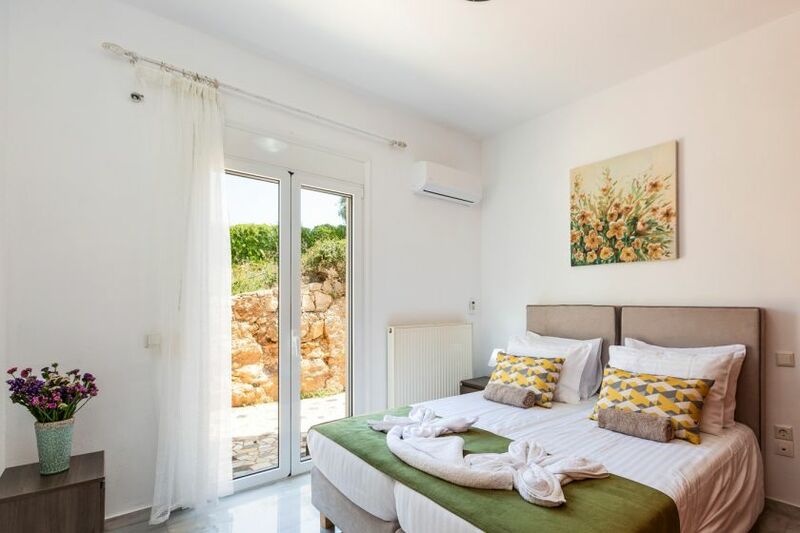 Stella House is a 3-bedroom, hospitable, ground floor villa in the traditional village of Tria Monastiria, 4 km from the picturesque town of Rethymno. 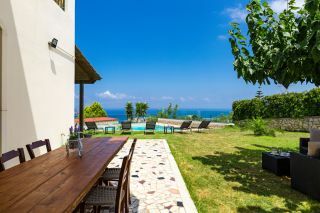 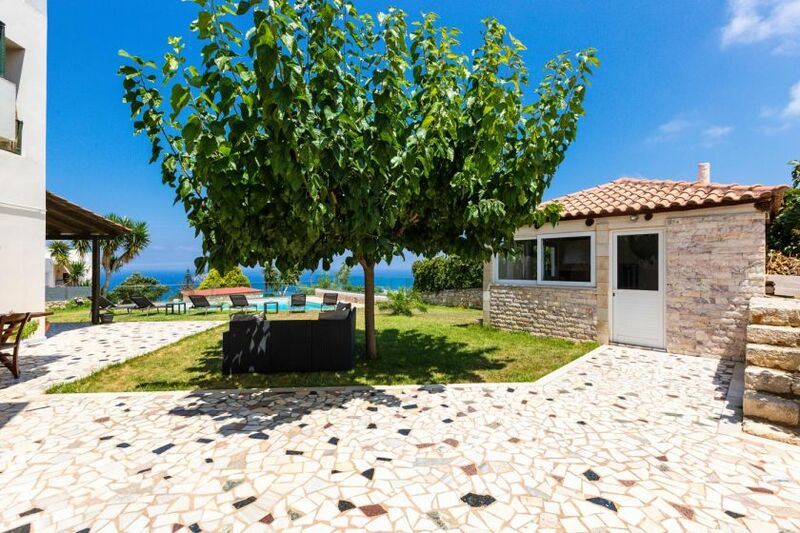 The villa is surrounded by a big sea view courtyard with a private swimming pool, beautiful trees and grassy gardens. 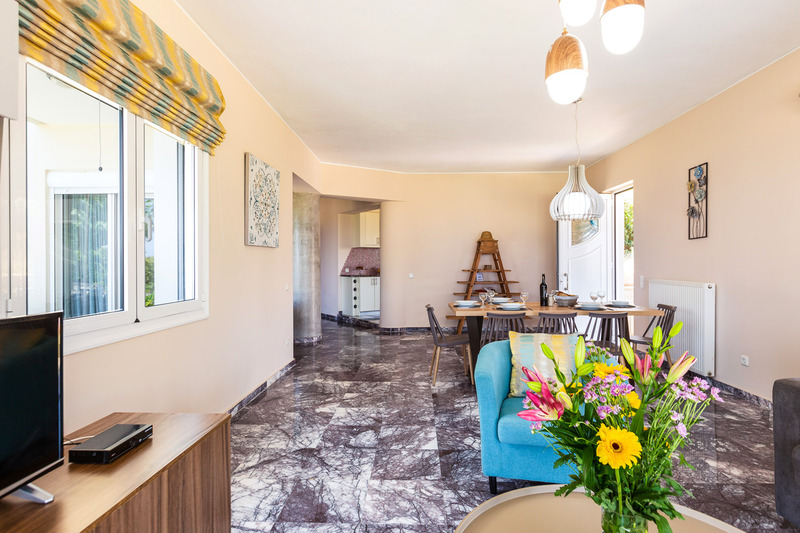 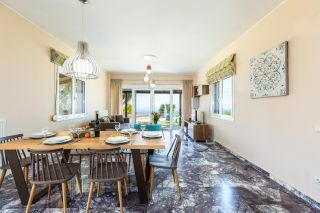 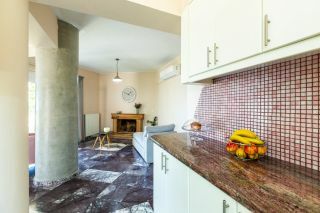 An open plan area with a big living room with a flat satellite TV, a dining table, a fully-equipped kitchen with dishwasher and a another living room corner with a fireplace is offered. One bedroom with a double bed, and two bedrooms each with two single beds (that can be converted to a double bed if needed) are provided. 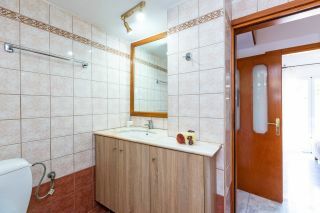 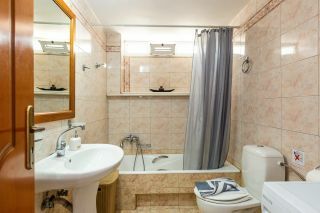 One bathroom with a shower and washing machine, and one bathroom with a bathtub are offered as well. 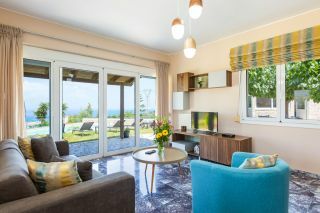 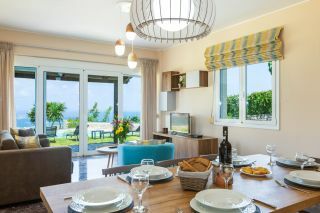 Free wireless internet and air-conditioning are available in the bedrooms and in the open plan area of the villa. 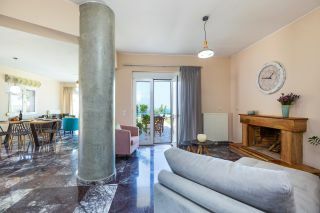 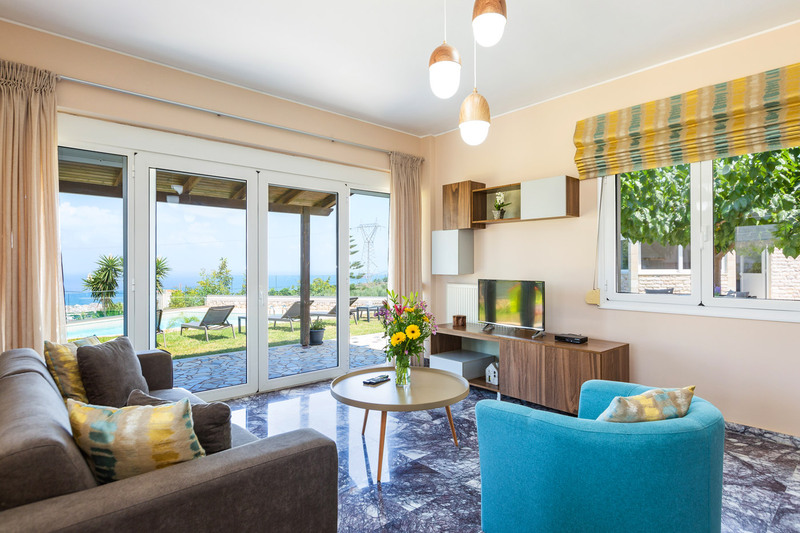 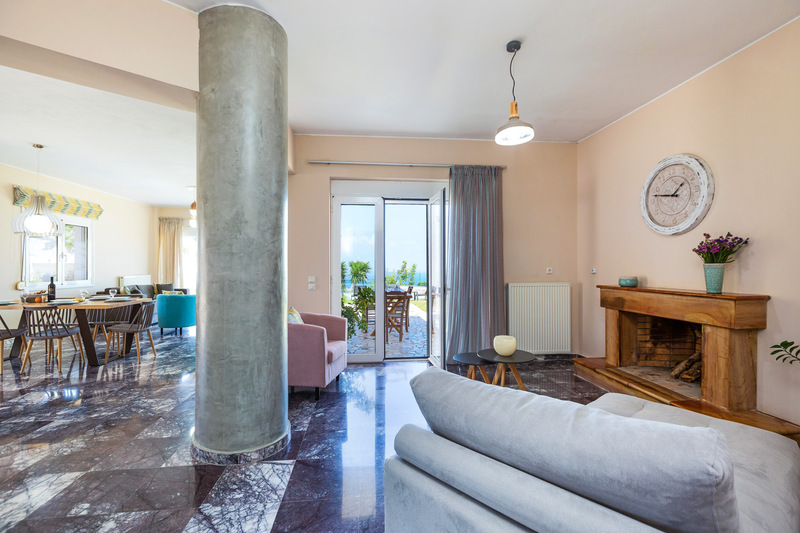 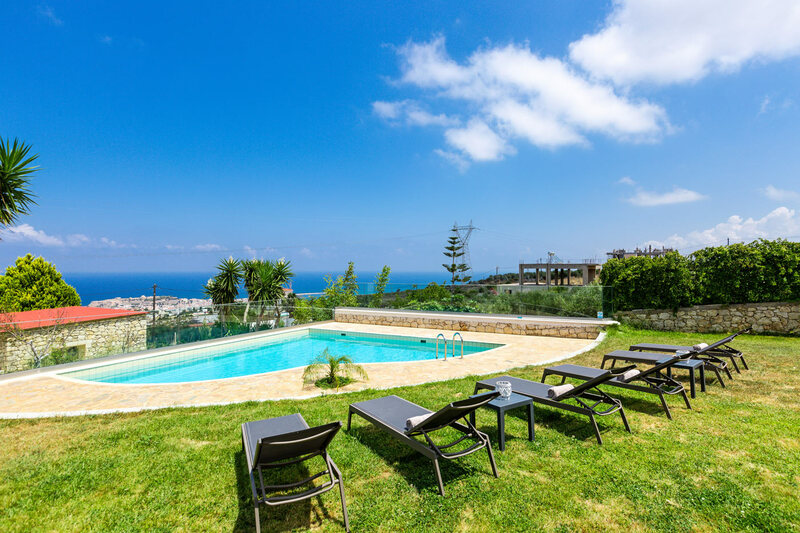 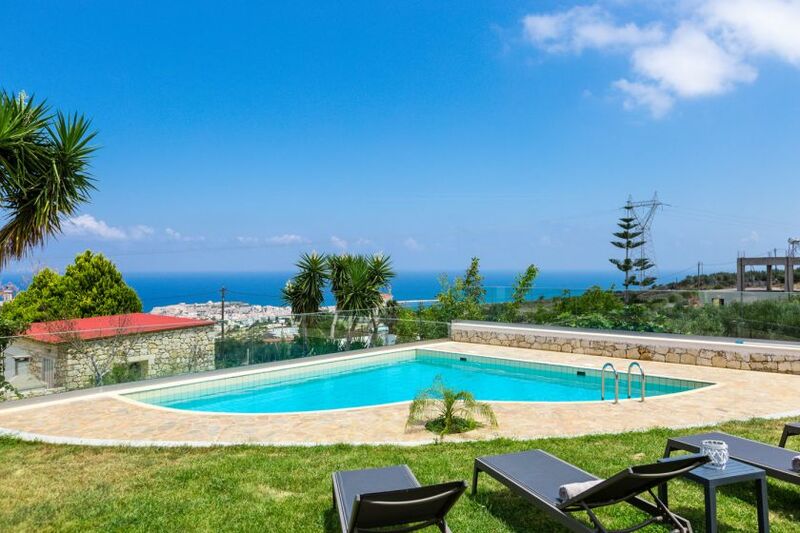 Stella House offers a private pool with lovely panoramic views of the sea and the town, sun loungers, an outdoor lounge area and a shaded dining area. 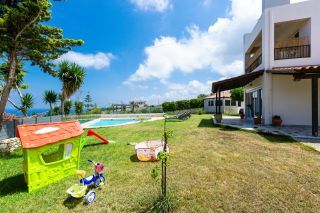 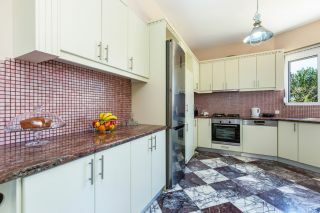 A playground area, barbecue facilities and private parking in the plot are available as well. A small cantine and a gas station can be found within walking distance in 500 meters. 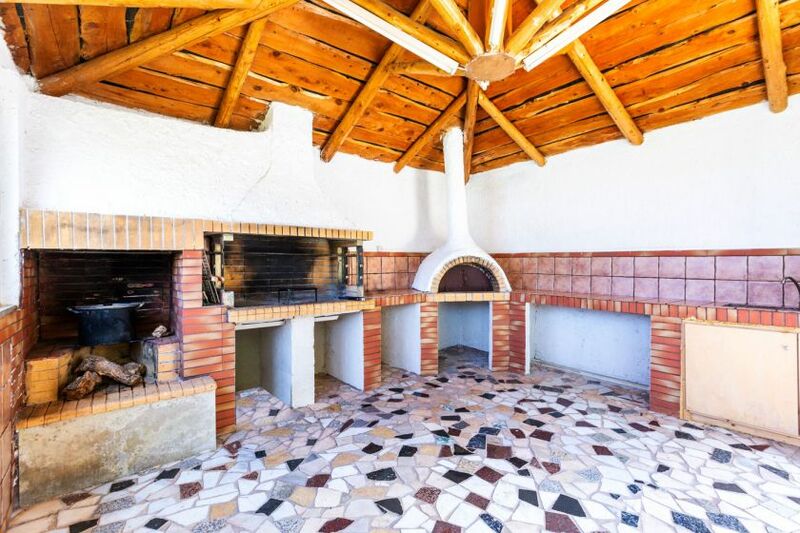 A bakery and cafeteria, is located 850 meters away and a local tavern at 1400 meters. 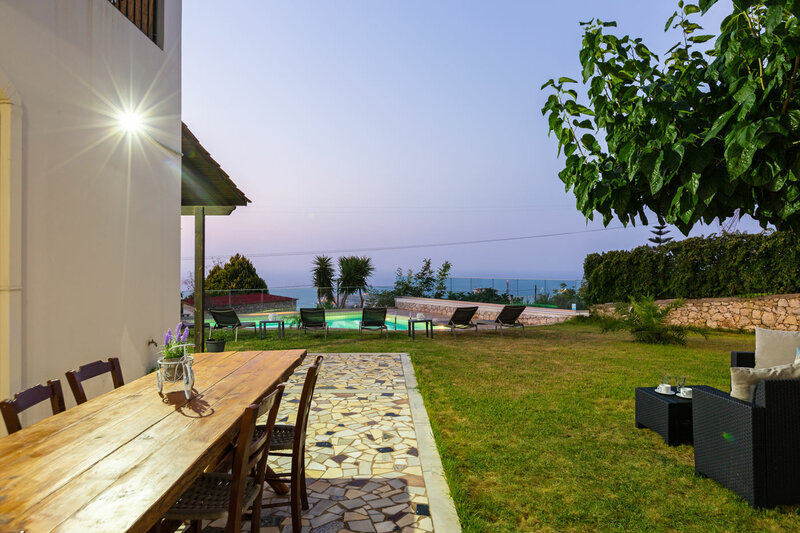 A car is suggested in order to visit the picturesque town of Rethymno, the nearby traditional villages and the beautiful sandy beaches. 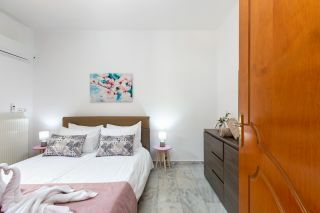 Rethymno is a very picturesque small town with fine waterfront cafes, tavernas and shops, a long, sandy beach and a lovely old Venetian harbour. 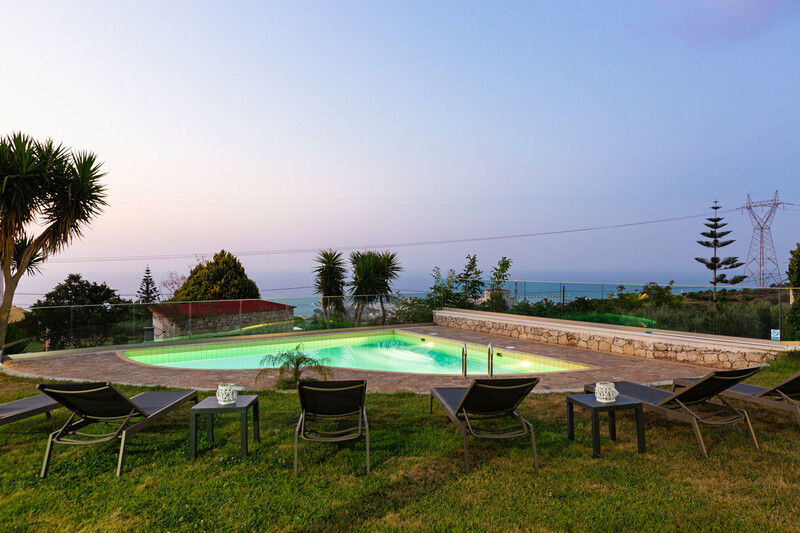 The venetian fortress (Fortezza) and the fine lighthouse are the landmarks of the town. 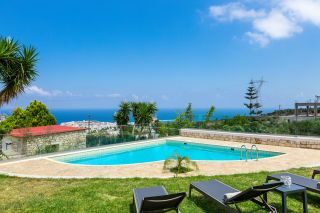 Every visitor can enjoy the blue and clear sky and sea, the light sun and the nightlife. 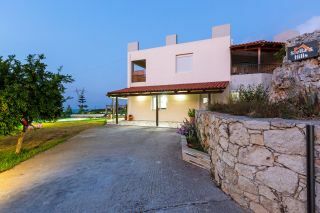 Please note that the kind owner and his family live on the upper floor, with a separate entrance from the back of the plot.